The Ki-Low-Na Friendship Society will provide for the mental, emotional, physical and spiritual well-being of all peoples through the development of community-based services, while encouraging the community to preserve, share and promote Aboriginal cultural distinctiveness. Volinspire supports arts and culture in the community. 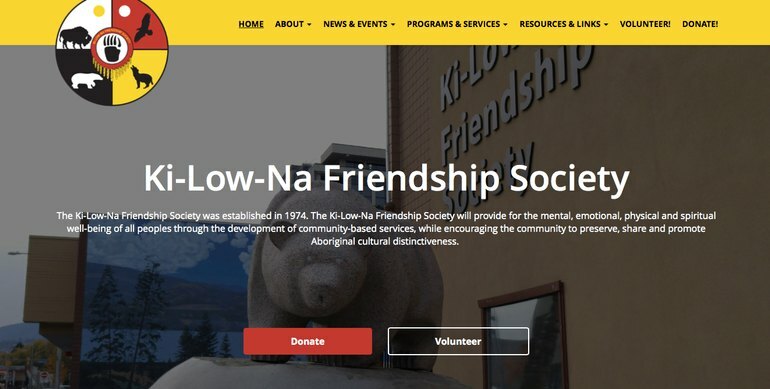 We would like to welcome Ki-Low-Na Friendship Society to our platform! KFS provides for the well-being of all peoples through the development of community-based services, while encouraging the community to share Aboriginal cultural distinctiveness.